Keenan Coke got some things to get off his chest and drops some bars that'll keep the Hip Hop heads tuned in. He's joined by Chris Crack who brings his own flair of confidently-aggressive flow to the forefront. 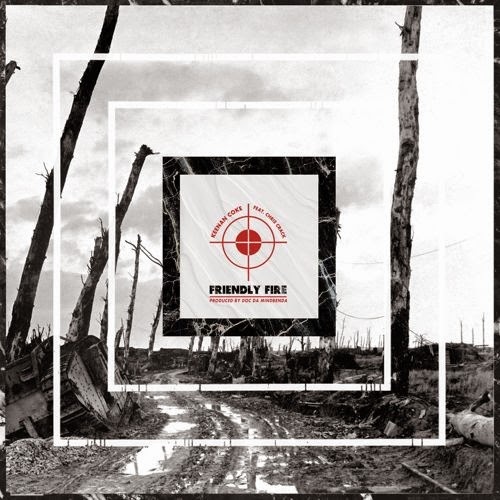 "Friendly Fire" is a loose track produced by Doc Da Mindbenda, where himself and Crack proclaim and aim to do it for the culture while dodging false allies. Keenan, Crack and Doc combine for a great rap record to enjoy and can be envisioned as some pretty great music to ride to. Both artist have upcoming project release, "Turnth up the Cure" from Keenan Coke and ILLeet plus "Chris Spencer" from Chris Crack and Vic Spencer.